Dillenger, our Missouri Foxtrotter, really took to off-site trail riding. He loaded easily and was relaxed and happy to be in a new environment. He even went saddle free. Bringing him along was a lot of fun. Here he is with Mark, taking a break…. On the way back, Mark just rode him with a halter and a lead rope. 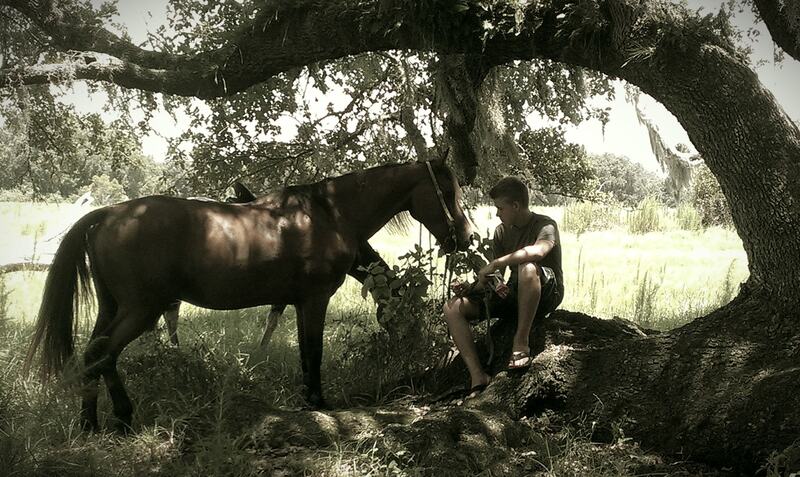 It gave him a chance to snack here and there…. 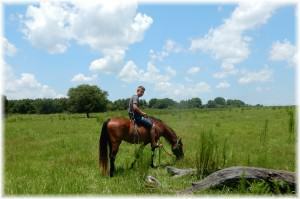 This entry was posted in Uncategorized and tagged Adventure Ride, beach horses, Florida Barn, Florida Trail Riding, Gelding, Hillsborough County Trail Riding, Horse, Horse Rental, horseback riding outfit Bradenton, kid safe horse, Missouri Foxtrotter, Palomino horse, Unguided trail rides.